This is a very easy and quick and tasty Idli recipe. I make this very often especially for dinner when I do not have regular idli batter. 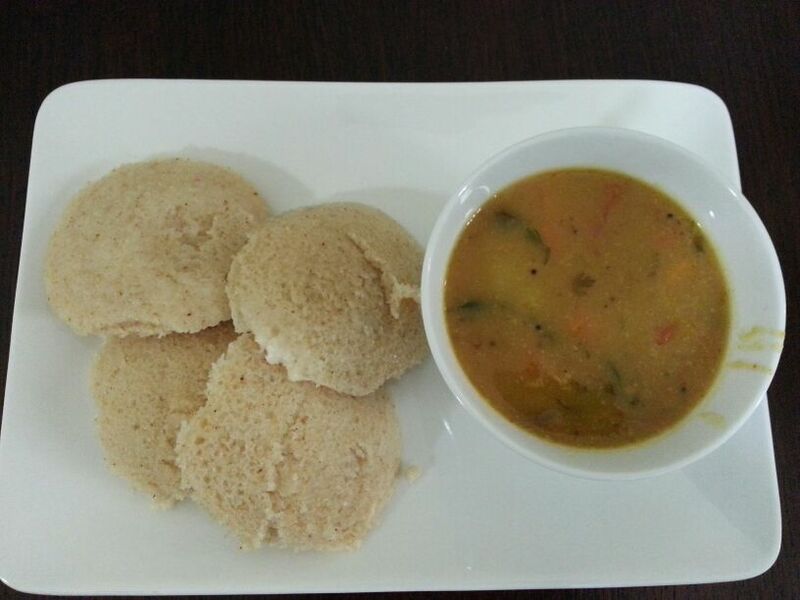 The idli can be paired with sambhar or any chutney of choice. The Idlis are very soft and they melt in your mouth. There is no soaking time, no grinding work, no fermenting of batter. You will definitely make these often like me. Makes 8 - 12 Idlis depending on the size of the idli plate. 1. Dry roast the rava in a pan making sure you remove it before it changes color. 2. Remove the rava in to a bowl and let it cool down. 3. Add yogurt, water and salt and mix well. 4. Keep it aside for 15-20 minutes. 5. Add some more water and adjust the consistency to Idli batter. 6. Prepare the idli plates by greasing with oil or ghee. 7. Heat the idli cooker with water. 8. Just before pouring the batter into the idli plates, add the eno fruit salt. Mix well. 9. Pour the batter to the greased plates and steam the idlis for 15 minutes or till done.